Gwyneth Marini holds a BS in Music Education from Penn State University. She plays the guitar and alto saxophone. She has over 15 years experience teaching Music Together® and preschool music. The Center for Music and Young Children in Princeton, NJ, recently awarded Gwyneth Music Together Certification Level I status for outstanding achievement in teaching, musicianship, program philosophy, and parent education. Rosemary Valentine holds a BS in Music Education from the New England Conservatory of Music. She plays the piano and guitar. Rosemary has almost 30 years experience teaching general music education in the West Bridgewater School system. She also teaches private piano lessons. Jennifer's love for music was rekindled when she started raising kids and took music together classes as a new mom. Her love for young children inspired her to teach piano for 12 years and to become a Music Together teacher in 2007. She was certified as a Level 1 Music Together teacher in 2012. 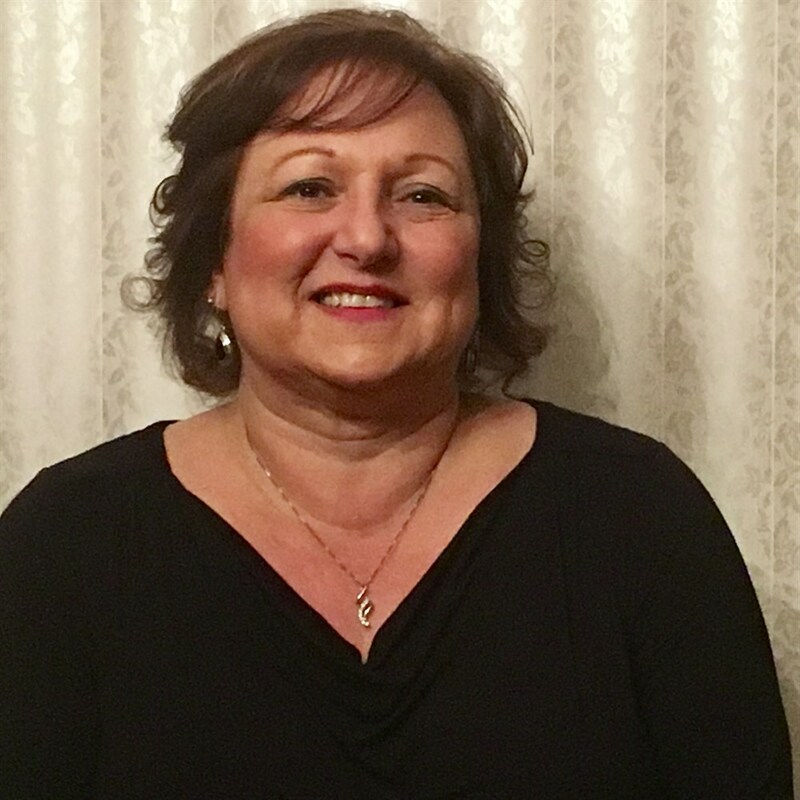 She has also been an active Board member of a Milton preschool and the Children's Choir Director at First Parish in Milton for a number of years. She plays guitar and piano, but loves the freedom of singing wherever she goes. Cheryl Ungar earned a BS in Music Education from Rhode Island College. She plays the French Horn, and she sings in the Jubilate Chorale in Easton, MA. She also sings in her church choir. She has 13 years of experience teaching general music from preschool age to 6th grade and has directed children’s choirs, grades 4-6. She co-directs the children’s choir at St. John the Evangelist church in Canton, MA. She was introduced to Music Together by attending classes with a friend and her friend’s two children. She loved how the parents were able to musically have fun and be creative with their children, through the use of child centered songs and activities. 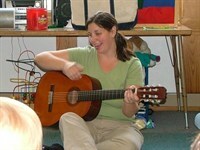 She took the Music Together training in August, 2007, and is enjoying exploring music in this new setting with children and their parents and caregivers. and guitar. She earned a BA in Music and a BS in Microbiology from Colorado State University in Fort Collins, CO. She began her “Music Together” career back in 2004 and fell in love with the program. Then life happened, which found her in Germany for 5 years where she taught kindergarteners music and English. After having two children, Paul and Lukas her family moved to Massachusetts where she lives now. Gretchen is looking forward to the opportunity getting back into “Music Together”. 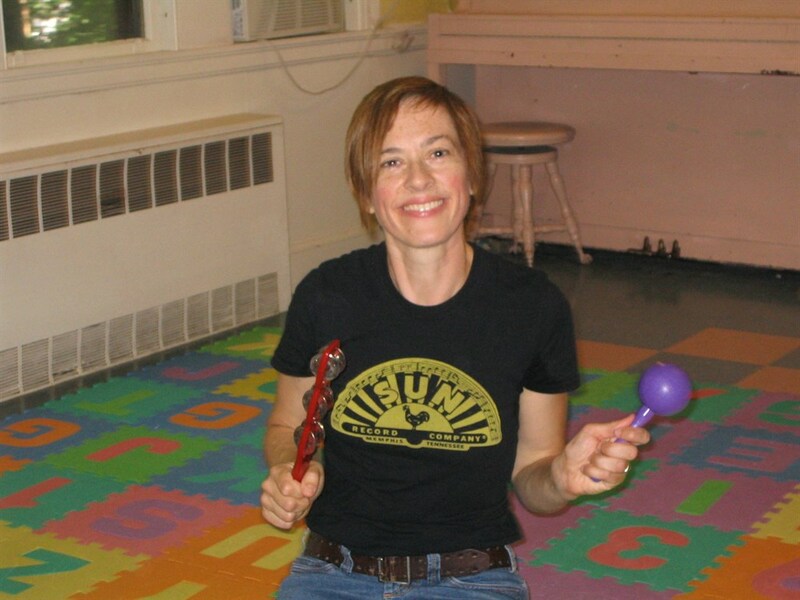 Gretchen looks forward to sharing her passion for music with all of the families involved in the Old Colony Music Together Classes. She will start teaching in the Fall of 2012 in Rehoboth and West Bridgewater. Ellen Bartos holds a Bachelor of Music degree in Music Therapy from the University of Evansville and a Masters in Arts Degree in Music Therapy from New York University. Her clinical internship during her Master’s degree was at the prestigious Nordoff-Robbins Center for Music Therapy in New York City where she studied the methodology of Nordoff-Robbins Music Therapy and held both group and individual music therapy sessions. In her clinical work she has a vast experience working with children of all ages including children with a wide variety of clinical diagnoses. Ellen became interested in Music Together after the birth of her daughter and watching the full capacity at which music has enriched both of their lives. Music is a constant household experience! Having recently relocated to Massachusetts, Ellen is excited to start Music Together classes as well as private piano and bassoon lessons. She is interested in bringing her music therapy experience to Old Colony Music Together and becoming another resource for families with children with special needs. 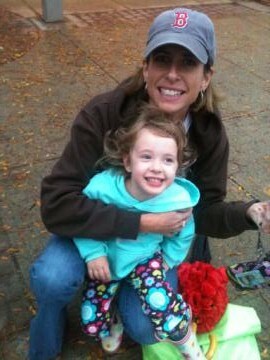 Kim Greene grew up in Norwood, MA where she played flute in concert band and sang in her church choir. She earned a B.A. in Music from College of the Holy Cross, and a M.S. in Finance from Boston College. After a long stint as a Training Director for Investors Bank & Trust, Kim became a new mother and discovered a whole other universe of learning and teaching! She attended a Music Together demo class when her daughter was an infant, and instantly knew it was going to provide a wonderful journey for her family. As she and her daughter progressed through the Mixed Ages classes and into the Big Kids class, they were exposed to different styles of music and encouraged to have fun and create music together. Kim really loved how the whole family was involved, unlike other activities they had tried, where the focus was solely on the child and the parents observed from the sidelines. Now she is excited to share that wonderful experience with other families. She completed the Teacher Training in February 2013, and is offering her own classes in Norton and Attleboro! I am working on finding coverage for Ellen's upcoming maternity leave during the winter session. I will update as soon as possible! Indigo Young is a professional educator who taught over 2,000 Music Together classes in Phoenix, Arizona before moving to Boston for grad school. Although she plays the piano, clarinet, and the autoharp, the voice is her favorite instrument! Indigo understands the value of sharing the experience of music and movement with family. 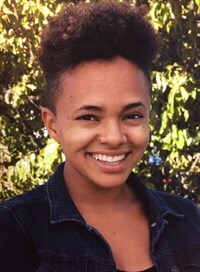 Her musical childhood was enriched by attending ballet lessons with her sister, piano lessons with her mother, clarinet lessons with her father, and life-long family dance parties in the livingroom. Now, as a pediatric speech-language pathologist, Indigo has a deep understanding of how Music Together classes foster social, linguistic, physical, and emotional development for young children in the most fun way possible. Kathy fell in love with the Music Together program while attending class with her granddaughter. She saw first hand how beneficial music is to a young children and was so inspired that she wanted to become a Music Teacher teacher. Kathy was an Executive Administrative Assistant for 40 years but her first love was always music, especially singing. Kathy is currently studying voice from Bradley Pennington former voice and piano teacher at the Boston Conservatory and is the founder of the Boston Bel Canto Opera Company. Kathy sings with the Braintree Choral Society (BCS) and the Southeastern Massachusetts Festival Chorus (SMFC). She has also sung with the South Shore Conservatory's (SSC) Summer program “Evenings Under the Stars” under the direction of Beth MacLeod Largent. She was a chorus member in the performance of “Testament of Freedom” at Carnegie Hall in February 2015 with members of the BCS. Kathy currently teaches with SSC Music Together. 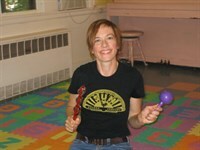 Kathy is so excited to be teaching with Old Colony Music Together!